Broken gate at the entrance to the Belvedere at Springwoods Village parking garage. Spring, Texas – November 21, 2018: The Harris County Sheriff’s Office is investigating a rash of car burglaries at the Belvedere at Springwoods Village apartment complex. Just in the last week there have been eight reports of crime at this apartment complex, one being a stolen F250 from the parking garage. 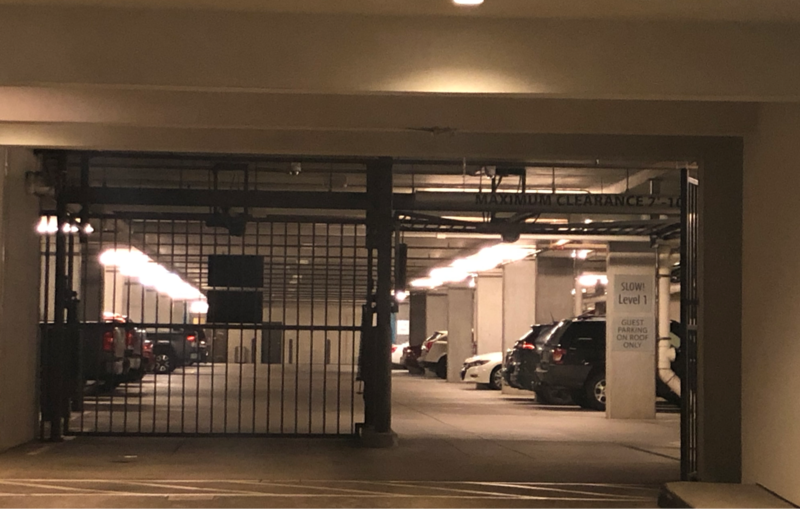 Residents tell us that the gate to the apartment parking garage is damaged allowing for easy access for criminals. Officials from Belvedere at Springwoods Village acknowledge the broken gate and say they are working to fix it. The Harris County Sheriff’s Office says they have added additional patrol deputies to the area but remind residents to be vigilant and report suspicious activity.